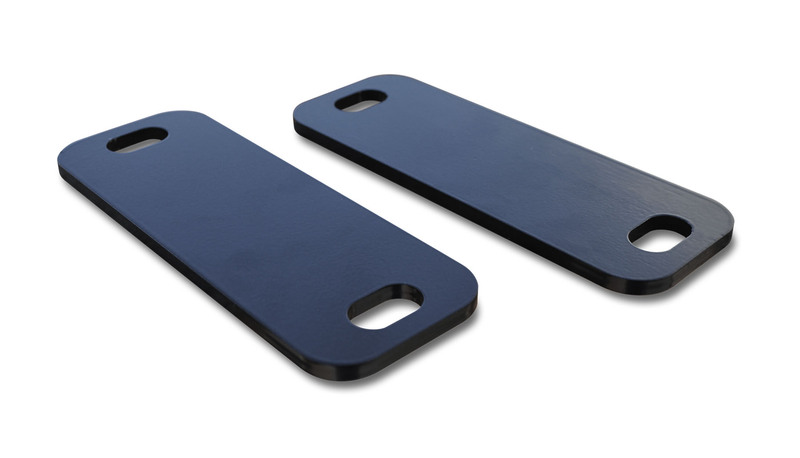 Zeon Winch Spacer Plates. Use these Spacer Plates when mounting a Warn Zeon Winch on to your Poison Spyder Brawler Lite, Brawler Mid, or JK RockBrawler front bumper. On these bumpers, the slight recess along the top surface of the bumper is just slightly incompatible with the extra wide, low housing ends on the Zeon winches. Simply lifting the winch about an extra 1/8 inch solves this problem. These spacers are a convenient way to do that, by simply placing them between the winch and the fairlead mount to provide the lift needed. CNC laser cut from 3/16 inch plate steel, powdercoated black. Important: Brawler Mid Front Bumpers will require Two pairs of spacer plates to install the Warn Zeon winch.